Through Bob Proctor & Michele Blood's New Book. Listen to the introduction from the audiobook. what wealth and consciousness really is. I want the physical Book (247 pages) - please take me to the ordering information and ship it to me today! I want the Audiobook (8 CDs) - please take me to the ordering information and ship it to me today! I want the Ebook - take me to the ordering information so I can download now! I want the E Audiobook - take me to the ordering information so I can download now! 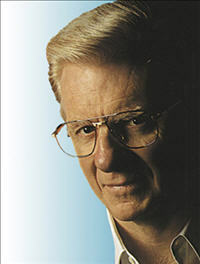 Bob Proctor is truly the teacher's teacher. For over 40 years he has helped to inspire millions of individuals worldwide. Leaders of industry have stated that Bob Proctor's teaching and products are the reason for their huge wealth and success. The closer we are to the top of the mountain sometimes the steeper the climb. REMEMBER my dear that you could be just 5 minutes away or 5 feet away from your summit and having your life’s dreams come true!!! The Science Of Being Great audio book by Wallace D. Wattles Many have read the Science of Being Rich but have no idea of the great and powerful lessons and stories of wisdom that is in one of Wallace’s other books about GREATNESS. THE BEYOND SUCCESS BUSINESS COACHING System/seminar. first but when combined with the how to's of business we have everything. This product was done over a 4 year period and is priceless. Read here what others are saying about this amazing book that goes Beyond The Secret. It is truly a deep, fascinating, and awakening experience. I have been blessed to have the opportunity to speak to and work with spiritual seekers all over the world and there has always been a common thread that unites all of us: The questions, who are we, and why are we here? In this volume the authors masterly address those questions by allowing us to explore what level we are experiencing in relationship to our spiritual path and prosperity consciousness. They provide a spiritual blueprint to move from darkness into the Light using their own personal experiences. This complete volume is a must read for anyone seeking to live a vibrant, fulfilled, abundant life full of joy, higher consciousness, and love. This book has arrived at the perfect time for the world. Why? Myself and my husband are in the corporate world of America and what I see is that money in corporate America and in most countries has been recklessly navigated by unconsciousness. People around the world have a wonderful opportunity to attract money in a conscious way that stimulates and manifests new found financial growth through positive and creative intention. This book will help raise and awaken consciousness which is what prosperity and any kind of success is all about. It changed my life. Great book, with a holistic approach to success and abundance. In my life as a scientist and also as a student for many years of eastern philosophy I found this to be the most simple explanation of great, timeless, spiritual truths about success and consciousness. "The 2nd half of the book I love the best "Enter the Sea Of Unlimited Consciousness" what a pure and simple way to describe the different levels that the soul must do to grow. To take a step into the depths of the soul to journey toward the light takes so much courage. Michele has that courage and wisdom that she explains here in her book.She holds your hand to feel safe as you step forward and dive into the sea. If you are ready to experience the depths of your own soul then this is a must read book. I highly recommend this book to anyone who wants to understand what they truly came here to do. I am a young guy and I find this a very enlightening and entertaining book. It helps me to see in a cool way how we are so much more than our bodies and how I can use my mind to become all I could ever dream of and at the same time learn more about Spirit. The book was well written and very easy reading. The method is so simple that you would never really consider it on your own. Michele Blood is a fabulous, beautiful and spiritual woman with much to share with the world. Her pairing up with Bob Proctor for this project is a gift for all of us. This book has so much wisdom! Bob and Michele do an excellent job, teaching the spiritual laws to magnetize money through your service to others. More importantly, the book explains how to experience real wealth monetarily and spiritually. This book is for you if you truly want to be wealthy and learn to swim deeply in the sea of unlimited consciousness. Get this book for a comprehensive, yet easy-to-understand guide to dramatically attract money to you and increase your level of consciousness. 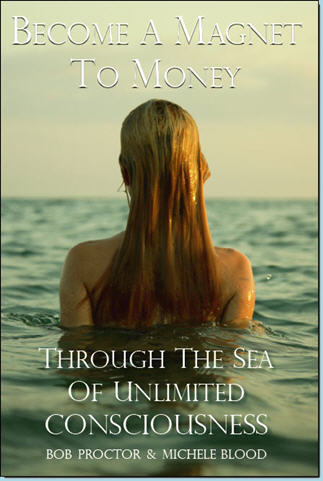 "...Become A magnet To Money Through the Sea of Unlimited Consciousness" is an amazing book! It is written with clear awareness of the stages of our soul's growth, explained with such clarity, depth, knowledge, sensitivity, and fun! I will be reading it again and again to absorb and feel the fullness of it's content. Michele Blood is a deeply spiritual, incredibly vivacious, infectious, spiritual leader. Her rare enthusiasm and soul sensitivity is such an inspiration. This rare explanation of the soul's growth gives us great insight as to where we are in our spiritual progression. "Become a Magnet to Money" gives you all the steps you need to achieve the success you desire. After much searching for the answers to attain success, I am at peace knowing all the information and the practical action steps I need to live the life of my dreams are in this book!! An added bonus is access to Michele Blood's uplifting singing. The combination of words created by Bob Proctor and Michele's enthusiastic talent stays with you daily to heal and uplift! I feel blessed to be a part of Michele Blood and Lawrence T. Bond's "Mystical Success Club" where we are inspired every week on phone conversations discussing principles from this book and so much more. This book has been written with such free-spirited joy and depth of knowledge, making it truly inspirational, practical, and deeply helpful to attain our dreams, and raise our spiritual awareness to much higher levels of FUN and deep inner PEACE.